To register for the conference, the Shabbaton, or both, please click here. The conference schedule (subject to change) is available here. The Shabbaton schedule (subject to change) is available here. A non-exhaustive map showing hotels within five miles of the University of Chicago campus is available here. A non-exhaustive list of places to eat relatively near the University of Chicago campus is available here. Dr. Judith Kaplan Eisenstein (1909-1996), z”l. 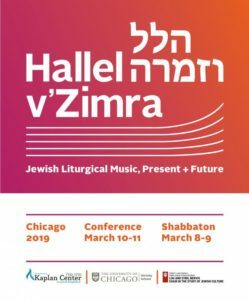 The Mordecai M. Kaplan Center for Jewish Peoplehood, The University of Chicago Divinity School, and The Mervis Chair in Jewish Culture at Indiana University are delighted to invite you to attend a conference titled “Hallel v’Zimra: Jewish Liturgical Music, Present and Future,” to be held at The University of Chicago on Sunday and Monday, March 10-11, 2019. Additional sponsors currently include the Department of Jewish Studies of McGill University, the Cantors Assembly, the American Conference of Cantors, the Women Cantors’ Network, Reconstructing Judaism, KAM Isaiah Israel, Congregation Rodfei Zedek, Mishkan Chicago, and The University of Chicago Newberger Hillel Center, and Spertus Institute for Jewish Learning and Leadership. This two-day conference – preceded by a Shabbaton – will bring together leading scholars, prayer leaders, and musicians to explore and reflect upon the rich and complex Jewish conversation among music, liturgy, and ritual. Some of the enormously talented people we expect will be joining us are: Nancy Abramson, David Berger, Philip Bohlman, Judah Cohen, Richard Cohn, Gordon Dale, Galeet Dardashti, Shefa Gold, Esteban Gottfried, Mark Kligman, Elli Kranzler, Ebn Leader, Miriam Margles, Brian Mayer, Deborah Sacks Mintz, Alberto Mizrahi, Hankus Netsky, Vanessa Ochs, Eden Pearlstein (Eprhyme), Rachel Rosenberg, Joyce Rosenzweig, Sarah Ross, Pavel Roytman, Basya Schechter, Benjie Ellen Schiller, Azi Schwartz, Edwin Seroussi, Jeffrey Summit, Yoel Sykes, Ramón Tasat, Benjamin Warschawski, Josh Warshawsky, Joey Weisenberg, Margaret Moers Wenig, and Naomi Cohn Zentner. Music and liturgy hold a rich and often complex relationship in Jewish life. 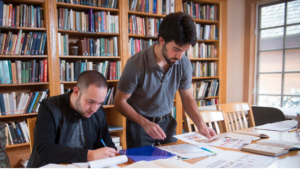 Each seeks to reflect the values and needs of contemporary Jewish religious communities. Each relies on the other to deepen its own connection to ideas of tradition. Each has developed its own specialists and fields of study. And each stands at the center of debates about enriching the Jewish present and assuring the Jewish future. The conference, with a mix of panel discussions, workshops, master classes, and other sessions intended to appeal both to professionals in the field and to interested non-professionals, will be held primarily at Swift Hall on the University of Chicago campus, 1025 East 58th Street, Chicago, IL 60637. It will begin on Sunday morning, running that day from 10:00 a.m. to about 6:15 p.m. On Monday, we will begin at 9:00 a.m. and end at about 4:30 p.m. We will also be offering a concert Sunday evening. Kosher box lunches (and snacks, but no other meals) will be provided on both days. For more information about the conference or the Shabbaton, please contact Dan Cedarbaum, at [email protected] (preferred) or at 847-492-5200. We hope to see you in Chicago in March. ← Andy Statman and Zev Feldman: Klezmer Pioneers Reunited!